Would you be lost without your Smart Phone? Have a look at the museum objects that have been, or can be, replaced by your hand held device. You’ll be surprised! Don’t miss this special exhibit, held over by popular demand. Rare furniture pieces from the Museum and private collections are on display with new information about their Westmorland County makers. The collection had come to the museum from various donors over the years, many of whom did not know the provenance of their gift. As a result, we went for years without fully appreciating what we had. A visit by Darrell Butler, Manager of Heritage Resources at King’s Landing, changed all that. An expert in antique furniture, he was able tell us that a number of our pieces date to the late 18th and early 19th centuries, to the period when Keillor House itself was built. He also found that others were very likely made in this area. 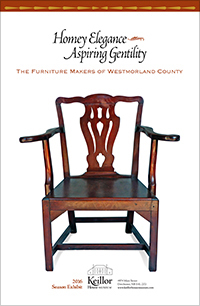 Westmorland County was once home to furniture makers whose work will stand comparison to some of the best made in New Brunswick, itself long known to connoisseurs as the outstanding centre of fine furniture production in British North America. Among our rediscovered treasures are two drop-leaf tables, a chair and possibly a bedstead by Harmon Trueman of Point de Bute, who is also represented by pieces in the New Brunswick Museum and the King’s Landing Collection; a secretary desk by Thomas Chapman of Point de Bute; and a butler’s desk possibly by George Evans of Dorchester. These and other items from the Keillor House Collection are supplemented by images of pieces now in the collections of the New Brunswick Museum, Fort Beauséjour-Fort Cumberland and King’s Landing, and in several homes in Dorchester and Pointe de Bute. The exhibit, which was authored by Gene Goodrich, can be seen throughout the season starting on Saturday, June 11. Join us at the season opening for the launch of Gene’s latest publication, In Search of John Keillor: A Historian’s Odyssey, and free guided tours of Keillor House by costumed staff. 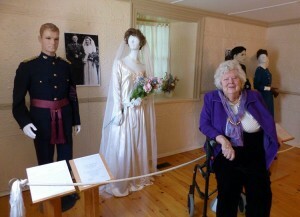 Ruth Stanley at the Precious Memories exhibit. 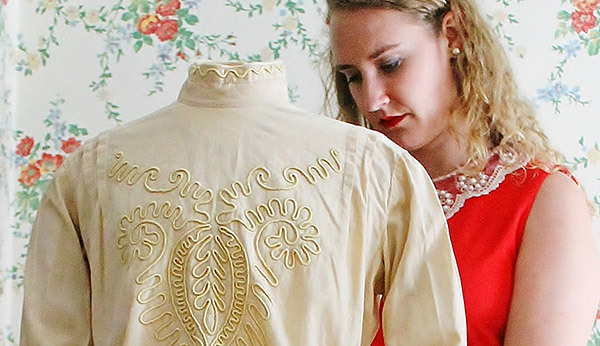 Visitors experience the touching stories of two Sackville couples and see their WWII era wedding ensembles. One of the couples included in the exhibition are David and Jean MacAulay; who met while they were both serving overseas. They married at the end of the war, and faced many obstacles in their effort to be wed. George and Ruth Stanley’s wedding story is presented alongside the MacAulays; they too faced uncertainty at the time of their post WWII wedding. The exhibit showed visitors the contrast of these wedding stories to the elaborate weddings of today. It is very moving to reflect upon a time when commodities were restricted, life was uncertain, and love was persevering. Out of the challenging times of WWII, came the unions of these incredible lovers. This exhibit was curated by Inga Hansen after returning to New Brunswick from the Fashion Institute of Technology in New York City. The exhibit is part of her thesis for her graduate program Fashion and Textile Studies: History, Theory and Museum Practice. 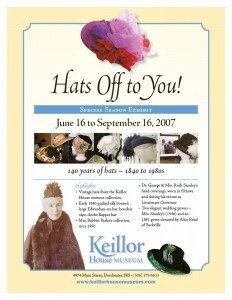 It showed the progression of fashion over a hundred-year period, using women’s garments from the Keillor House collection. 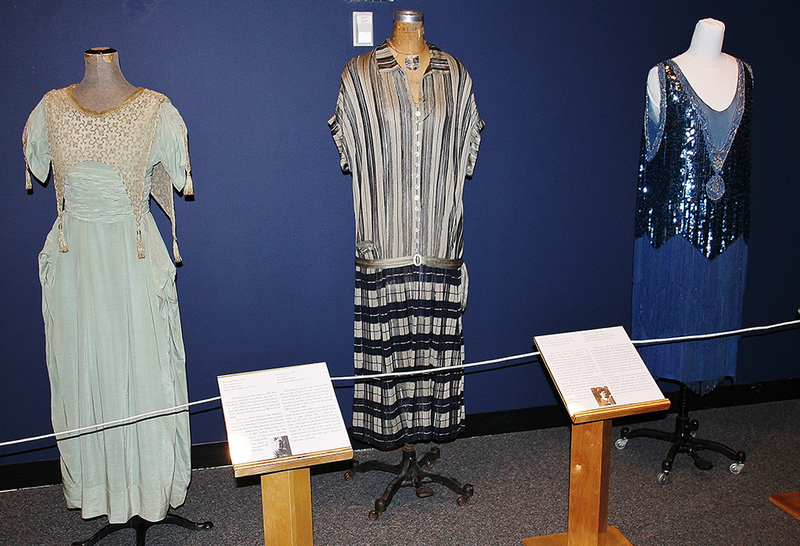 Each garment connected to a woman from Southeastern New Brunswick and many to women from Westmorland County. If you missed this outstanding exhibition when it was on display during the 2013 season and remounted the following year at the New Brunswick Museum, Saint John and the Thomas Williams House, Moncton, or even if you saw it and want to revisit it, now you can. Before the costumes were returned to their dust-free storage environment, they were documented by curator Inga Hansen and photographed by Thaddeus Holownia to create a bilingual exhibition catalogue which traces the evolution of fashion history, making it truly a collector’s item. Both it and card sets are available at our gift shop. You can also listen to a CBC Radio interview with Inga Hansen and the Small Town, Big Fashion exhibit. There was a time when a lady was never seen in public without a hat, and when polite society required that a gentleman always doff his hat in greeting. Times have changed!